Adopting the advanced technologies and top-notch craftsmanship, the MORPH 219 Box MOD is a perfect combination between classic style and modern trend, which is also the first mod designed with input keyboard for easy operation. Powered by dual 18650 batteries, the SMOK MORPH 219 MOD fires up to 219W max output and supports high performance TC/VW modes with a 1.9 inch large touch screen to see the vaping data clearly. Moreover, the MORPH 219W TC Box MOD features a revolutionary inner chip which shortens the firing time to 0.001S. In short, SMOK MORPH 219 MOD is definitely a good choice for cloud chasers. Just get the MORPH 219 MOD and enjoy a extremely strong vaping. The Eleaf iCare Solo Starter Kit is an ultra compact starter kit with an internal tank. It is very easy to use and convenient to carry anywhere. The iCare Solo is activated via its side button, and it has three different LED colors to indicate its battery status. The Eleaf iCare Solo Starter Kit is an excellent choice for starter vapers. From a performance, size and capacity stand point, the iCare Solo is positioned between the original Eleaf iCare and the Eleaf iCare 2. As with any other Eleaf iCare product - it uses the Eleaf iCare IC coils. The Berserker MTL Kit from Vandy Vape is a simple to use vape kit with pocket friendly design making it perfect choice for a newly transitioning smoker or seasoned vaper in need of an ultra portable kit. The 2mL e-liquid capacity can be expanded to 3.5mL using the bubble glass option, and 1.5Ω and 1.8Ω Berserker MTL coils (one each) designed for use with nicotine salts or other low viscousity e-liquids are included. The single button 1100mAh base supports constant voltage output for an even vaping experience, as well as bypass mode. The Wismec Luxotic Surface is a new Squonk Kit made by Wismec, it is the smallest with max output 80W powered by single replaceable 18650 cell. It is compact and ergonomic enough to lead the vaping industry with 0.49inch OLED screen. WISMEC LUXOTIC SURFACE is capable of firing up to 80W, offering you more powerful output than ever. KESTREL, an innovative RDTA, features its brand-new mesh heater design with larger heating area for optimal flavor and vapor cloud. With WISMEC LUXOTIC SURFACE Kit in hand, squonking has never been so simple. Featuring the soft food grade silicone bottle, the squonking is quite easy. Simply squeeze the bottle, the Wismec Luxotic Surface will feed e-liquid via the specially designed squonk system directly into the bottom-fed atomizer. It is compatible with Kestrel Mesh Tank, which provides with innovative mesh heater, made of kanthal, takes a horizontal building way in order to get unexpected vaping experience. Besides, the mesh heater boasts its larger heating area and uniform heating for wonderful atomization effect. Voopoo VFL Kit is the second pod system device by VOOPOO, it looks like an American football. Constructed of vacuum-plated aluminum alloy and plastic, it gives you smooth hand feeling. Powered by a built-in 650mAh battery, it can fire up to 10W maximum output with 0.8ml e-juice capacity. The VFL kit features 3 levels voltage to switch, you can always get your favorite taste with the 2.5V, 3.0V or 3.5V voltage options and preheating setting. Moreover, with the two different pore sizes of airflow, the pod can be placed accordingly to connect either airflow on both sides. 1. Unique American football form. The Smok Mico is a micro-sized pod system, stands one of the smallest pod systems on the market. The Mico Pod System packs a punch with its reliable 700mAh internal battery and maximum 26-watt output. The Mico Pod System utilizes two pods that are included with the starter kit, which is the refillable 0.8-ohm Mesh Mico Pod and the refillable 1.0-ohm Regular Mico Pod. Both pods have a 1.7ML e-liquid capacity, utilize organic cotton for consistent wicking and pure flavor, and are capable of delivering an outstanding vapor production. Order SMOK MICO VAPE POD KIT in $20.32 with code CZ20 Now! The Smok Nord is the newest pod system vape starter kit for sale, which is a little bigger than Novo Pod Kits, but still with the ultra-portable design and pocket-friendly size. comfortable to hold. the new pod kit with one button operation design, vapers need to fast press the button five times to power on the device and long press the button to vape. it with the improved mouthpiece, with a lip curve on it, the mouthpiece could perfectly fit your mouth and offer the better user experience. the Nord kit has 6 fashionable colors available, built-in 1100mah battery can charge the battery via micro USB port. there is a LED light on the button, press it twice then Red, Orange or Green light will be on, it will show you the battery life smartly. the replacement pod can hold 3ml e juice, 0.6ohm mesh coil, and 1.4ohm regular coil included in the kit, and 1.0ohm ceramic coils sell separately. the 1.4ohm regular coils for MTL lovers high concentration of vapor, the 0.6ohm mesh coil for sub ohm vaping, will bring you the massive vapor. The Pavinno Puro All In One Ultra Portable System is a draw activated system with 5 to 50W power output, 100 to 315 degree Fahrenheit range, and Bluetooth 4.2 compatibility. The Puro is a button free system that auto recognizes pods and regulates power output. Device settings can be changed with the use of the Pavinno App that is available through Apple App Store and Google Play Store. The Puro has a maximum output of 50W and has a built in 1450 mAh rechargeable battery that can be charged through a proprietary Micro USB charger. The Pavinno Puro uses two types of refillable cartridges. The 0.2 ohm chrome pod uses an SS316L heating material and is designed for low nicotine e-liquid. The 0.8 ohm gold pod uses ceramic heating material and is designed for use with salt nicotine e-liquids. Both pod systems use a clear tank reservoir and use a silicone stopper. The top of the refillable cartridge has five 2.5mm by 1mm airslots that align with the Puro mouthpiece. Voopoo comes up with the new kit Finic 16 AIO which is portable and exquisite, and convenient to carry. I think this slim kit is the favorite of a walking man. Finic 16 AIO is slim and light, fits in your palm with ergonomic design, and it also fits people's mouth, whose design can deliver smoother flavors. Voopoo Finic 16 AIO Kit has been improved with GENE Chip inside, which can produce constant voltage output and flvors. Besides, it designed the patented child safety lock in order to prevent children. It is a humanized vape device for vapers. The Smok X-Force pod system starter kit, which is newest smoktech one-button activation vape starter kit. the carved patterns on the upper part echo the curved lines at the bottom of the battery, by combing the two you can get the "X" mark, x-force employs a minimalist design that is indeed the new trend of modern fashion, allowing vapers to feel the purity of vaping. the new smoktech X force built-in 2200mah battery can charge it via micro USB port directly. the vertical arrangement of 5LED indicators can clearly show you the battery life. the X-force pod can hold 7ml e juice, pre-installed X-force coil heads, will deliver massive vapor and dense flavor. the vertical airflow system and transverse coil have changed the previous layout structure that air intake and coil layout are in the same direction, and structurally eliminated the problem of oil frying and oil leaking. the airflow direction has been changed from line shape to serpentine shape, which can greatly increase the length of airflow. Our Vaporl Spring Bloom Vape Sale is still going on, Click Vaporl Spring Sale to check more detail, get coupon code CZ20 to get EXTRA 17% OFF. The SMOK E-Priv is a cool and fashionable TC Kit with unique engine-like appearance, consisting of the SMOK E-Priv TC Box MOD and the TFV12 Prince Tank. Powered by dual 18650 batteries, the E-Priv can fire up to the max output of 230W with various working modes including VW/TC mode or MEMORY mode. Together with a centered 1.45-inch TFT screen and the large fire key, you can easily operate the E-priv. And the TFV12 Prince Tank features 8ml large e-juice capacity with new powerful V12 Prince dual mesh coils, which brings unprecedented heating area and heating speed. The TFV12 Prince Tank also includes an anti-slip ring to protect the glass tube against damage or breakage, which is also taken as an ornamental part for the tank. Eleaf iStick Nowos Kit consists of the iStick Nowos mod and the ELLO Duro atomizer. The whole body is mainly structured by white color. It comes with long sustainable 4400mAh battery and can fire up to 80W. Using the advance innovative LED digital display and touch buttons that are easy to operate by a touch without any effort. Eleaf iStick NOWOS supports QC3.0 / PD3.0 protocol for faster charging than ever. The ELLO Duro atomizer features 6.5ml e-juice capacity, a pre-installed HW-M Dual 0.2ohm coil, and an extra HW-N Dual 0.2ohm coil. A 510 connector at the top is centered to allow for atomizers. Moreover, in the package, there includes a piece of QC3.0 USB Cable, which also support high-rate charging technology. Which consists of the HW-N Dual 0.25 ohm coil head, a mesh coil head rated at 425 to 65W, and the HW-M 0.2 ohm coil head rated at 25 to 60W.The ELLO Duro tank utilizes two new dual mesh coils to provide you huge clouds and enhanced flavor. It also features convenient top filling design and childlock system for child's security. 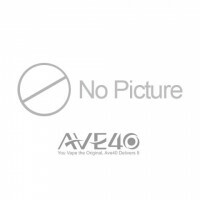 Buy Eleaf iStick NOWOS Kit in $39.9 Now! Our Vaporl Spring Deals is still going on, Click Vaporl Spring Sale to check more detail, get coupon code CZ20 to get EXTRA 17% OFF. The WISMEC Surface Squonk Kit is a perfect combination of fashion and function. WISMEC Surface MOD is a super compact single 18650 battery squonk MOD with 0.49 inch OLED screen, which is just like a credit card. Powered by an upgraded Avatar chipset, the WISMEC Surface MOD can fire up to the max power of 80W with the very first puff in only 0.001s instant firing speed. One more brightlight of the WISMEC Surface is that it has multiple circuit protection systems, which provide you a more securer and more reliable vaping environment. Plus the 6.5ml large e-juice squonk bottle, the WISMEC Surface MOD is really functional. The biggest point is the Kestrel RDTA, with innovative coil-less mesh heater, boasts larger heating area and longer lifespan over 3 months. Simple side filling design, unplug the atomizer tube and fill in the side hole. The Vandy Vape Simple EX Squonk Kit follows the tremendous success of the Pulse BF 80W, featuring a compact regulated voltage squonk device and RDA with integrated battery design and user-friendly functionalities for a great entry-level squonk set-up. Featuring one of the smallest squonk BF mod to date, the Simple EX Squonk Kit features a lightweight and compact box mod with a 4mL squeeze bottle cutout and a smart chipset. Powered by the built-in battery, the Simple EX Squonk Box Mod features a OLED screen that clearly displays voltage settings and battery life. Operated by a tactile firing button, the Simple EX Kit implements a variable range of 3.3 to 4.5 Volts, with adjustments made in increments of 0.3V. The included Simple EX RDA measures 19mm in diameter, presenting a top-secured two-post for single coil configuration and a restricted single side airslot design. Eleaf iJust 21700 Starter Kit is an upgraded version of ijust families, it is powered by single 21700 battery as well as single 18650 battey. With max output 80W, it is more suitable for newbies. It is not just a beautiful tube-style kit though as it introduces the latest HW-M2 and HW-N2 coils that boast an innovative Leakage-Proof & Self-Cleaning (LPSC) technology. These two coils also allow a more uniform airflow and utilize porous cotton as its wicking material for fully and quickly absorbing e-liquid, providing you with an unprecedented vaping experience. The iJust 21700 implements a single button firing mechanism, in which battery life can easily be noticed by a simple glance at the LED light behind the button. In a word, Eleaf iJust 21700 with ELLO Duro is an innovative, practical and essential vape kit for all sorts of vapers. The Vaporesso Sky Solo Kit is a typical vape pen style kit which is designed for both new vapors or experts. The amazing thing is that this Solo kit comes with the most advanced regulated chip (OMNI Board Mini Chip) to ensure excellent performance and product safety. Let along it has multiple extra protections: ESD Circuit/Overtime/Overcharge/Short-circuit/Low Resistance. You can vape with this kit with 100% safety. About the clean issue you may concern with, the SKY Solo kit has the top-fill system. You just need to simply twist off the mouthpiece and then fill the e-juice. No more mess with the top fill reservoir. Whatever you are expecting the e-cig kit, the SKY Solo kit will meed all your needs. After all, it's simple, portable, and affordable! The Smok TRINITY ALPHA 25W Pod System is a representation of the ultimate all-in-one vape pod kit, deploying creative design elements combined with advanced chipset with three output modes, 1000mAh battery, and the NORD Coil System for a momentous creation. The SMOKTech Trinity Alpha is fully constructed with high-level of craftsmanship, illustrating a quality alloy shell with beautiful unique resin panels for a luxurious all-in-one, or AIO, pod system. The built-in 1000mAh rechargeable battery provides ample power to use throughout the day, working in synergy with the chipset featuring variable output modes -- SOFT / NORM / HARD. The Trinity Alpha Pod features a 2.8mL maximum capacity, capable of working with the popular NORD Coil System with the 0.6ohm Nord Mesh with a 25W maximum wattage and a 0.8ohm Nord Mesh-MTL Coil with a 16W maximum wattage. You guys can clearly feel the great metallic texture of the Vaporesso Aurora Play if you hold it in hand. And the size is a little bigger than the Zippo lighter. On the side of this kit you can see there’re a USB port and a button for power. And the indicators hidden between them. Three colors to remind the battery life. Red, blue and green for different battery status. And the operations is also simple and easy. 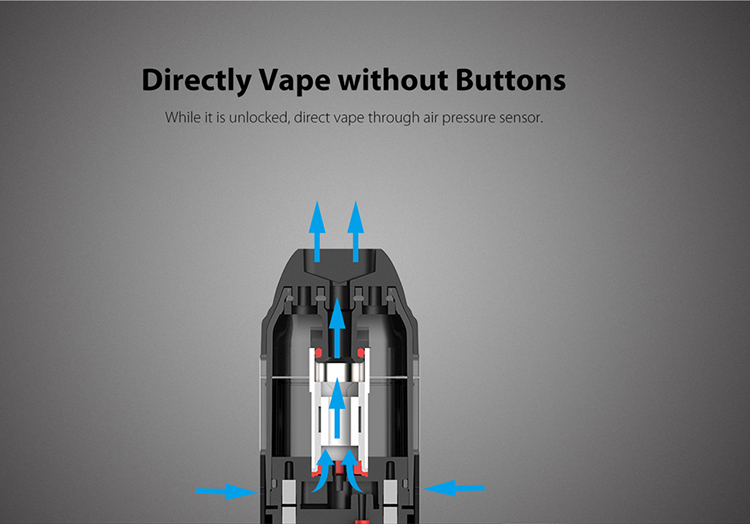 Five clicks to power on/ off, you can just vape cause the air-driven design. And the most important what you pay attention is the cover. After a short test, this cover design will satisfies you a lot. It won’t take you much strength to open it up. Just using your thumb push up lightly and the sounds of opening or closing the cover is really crisp. Our Spring Vape Deal is still going on, Click to check more detail, get coupon code CZ20 to get EXTRA 17% OFF. The Smok Morph 219 kit with TF2019 Tank. Comes with exquisite craftsmanship and advanced technologies, this kit will bring you the ultimate vaping experience. Powered by dual 18650 batteries with IQ-S chip inside, the maximum output can reach up to 219w and the firing speed decreases to 0.001s. IML resin panel on the back offers you great hand feelings. What's more, 1.9 inch touch screen with friendly user interface give you not only easy and convenient operations, but also clear information displayed. With innovative input keyboard design and secondary button to give you safe vaping and more personalized operations. The Smok TF2019 tank comes with 6ml large e-liquid capacity and convenient slide top refill design. Equipped with the unique TF2019 BF/BC mesh coil, it will bring you rich flavor and ample cloud. Smok G-Priv Baby Luxe Edition kit is a new member of G-Priv family. It has smaller body than G-Priv kit but it features highly sensitive 2.0inch touch screen. The G-Priv Baby mod has a top battery slot which makes battery replacement more convenient. It owns 2.0" colorful touch screen, which is very responsive, easy to operate. It features independent screen locking button, you can lock/unlock the screen easily. The mod is powered by single 18650 battery and can fire up to 85W output power. The mod is perfect match with TFV12 Baby Prince tank, 4.5ml liquid capacity and V8 Baby series coils bring you pure flavor and huge cloud.